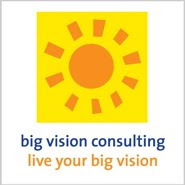 A looooong time ago, in March 2007, I wrote a blog post, What Do You Think of Carbon Offsets? which led to a local magazine including me in a piece, Carbon Credit Report, in its August 2007 issue. Honestly, I hadn't given carbon offsets much thought again until this past May. A high school student called to ask if I would be in her school project: a video about carbon offsets. I thanked her, and told her that I wouldn't be a good person to interview because I don't buy carbon offsets anymore. A few days later, she called back to say that she'd gotten the same response from a couple other people she'd approached, so she decided that asking people why they don't purchase carbon offsets was an angle worth pursuing. Smart cookie! She did a great job with her assignment. She interviewed five people: me, Tom Kelly (Executive Director, KyotoUSA), Erin Craig (CEO, TerraPass), Kathryn Sarkis (Marketing Manager, TerraPass), and Todd Jones (Center for Resource Solutions, ‎Green-e Climate Manager). It's only 12 minutes long, so give it a watch, and support a student filmmaker. She's our future! 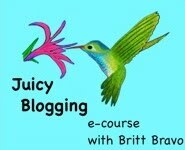 The next Juicy Blogging E-Course is September 5-October 3, 2013! Have Fun, Do Good Birthday Fundraiser!